 The Scene Magazine - Page 4433 of 4581 - What's up Toronto? Nerves around women could cause heart attacks â€“ and worse! Comments Off on Nerves around women could cause heart attacks â€“ and worse! Posted by The Scene on Feb 6, 2012 in Vins Roadhouse | Comments Off on Nerves around women could cause heart attacks â€“ and worse! Vin DiCarlo is an expert provider of dating advice for men. He has had hundreds of published articles and videos. Vin became the first man alive to discover the 8 different types of women (a find certified by a top Harvard Ph.D psychologist, using mental-technology verified and used by Bank of America, Yale University, the US Army & Navy, among many others.) With the help of professors, scientists, and thousands of volunteer women, he has developed several dating systems to help men better understand themselves, women, and the worldÂ around them. If you thought being nervous around women was “no big deal”… wait until you get a load of the new study put out by the Proceedings of the National Academy of Science. Including heart attacks in men as young as 24! And her findings were shocking, to say the least. The researchers asked 122 young, healthy adults to keep a diary of all positive and negative social interactions for eight days, as well as descriptions of any incidents that involved competition. “We picked young adults with no history of heart disease or inflammation disorders or depression [because] we wanted to look at the biological processes in a population that was healthy,” Taylor says. Several days later, the scientists swabbed the volunteers’ inner cheeks for fluid samples. Analyses revealed that the people with the most negative social interactions recorded in their diaries, and those who reported stressful competition in work or academic pursuits, had substantially higher levels of one of the inflammatory proteins – TNF Receptor 2 – than did those who recorded fewer such incidents. People reporting stressful competition for another’s attention had high concentrations of the other inflammatory protein, interleukin-6. The volunteers then underwent a stressful 25-minute test in which they did arithmetic calculations in their heads and gave a brief speech in front of strangers. After this test, people who had had the most negative interactions earlier in the week again showed high levels of the inflammatory proteins. What’s this mean? In simple terms: It means social stress can KILL YOU! Not only can it drain you emotionally, it can drain you, physically, until you no longer have the energy to keep going. The Solution? De-stress, when you’re in social situations! Step One: Sit in a chair, and put your hands on your lap. Step Two: Take deep breaths in and out. Try a 4 count in, 4 count out. Step Three: When you start to feel calm, close your eyes. Then picture yourself on a tranquil beach. Picture the waves lapping at your feet. And imagine the sand underneath your toes. Then, get back up and go back to your social situation. Step Four: Whenever your stress come back, think back to your beach. And take one, four second in breath. Followed by one, four second out breath. Your relaxation will come back. How? The miracle of “State Remembrance”. Which is the way your body “remembers” emotional states and burns them deeper into your neural pathways. The more you do this exercise, the deeper your relaxation will be. And the more stress you’ll be able to withstand, while staying relaxed. Like anything else in life: To master this technique, you just need practice. For more tips about how to handle your emotional stress, check out The Attraction Code. Learn more aboutÂ Pandora’s Box!